This resource is a starting point for you and your Lutheran faith community as it seeks to advocate for lesbian, gay, bisexual, transgender, and queer (LGBTQ) people in church and society. It is ReconcilingWorks’ hope that tools and answers in this guide will give your community the boldness to proclaim Christ’s gospel of radical inclusion and hospitality to your neighbors, our church, and our world. Christ and Lutherans are called to care for everyone, against discrimination and marginalization, and work for justice. [The ELCA] “…recognizes that it has a pastoral responsibility to all children of God,” “…supports legislation and policies to protect civil rights,” for all and has also “called upon congregations and members of this church to welcome, care for, and support same-gender couples and their families and to advocate for their legal protection.” (p. 19) “…will attend to the need for equal protection, equal opportunities, and equal responsibilities under the law” (p. 33). 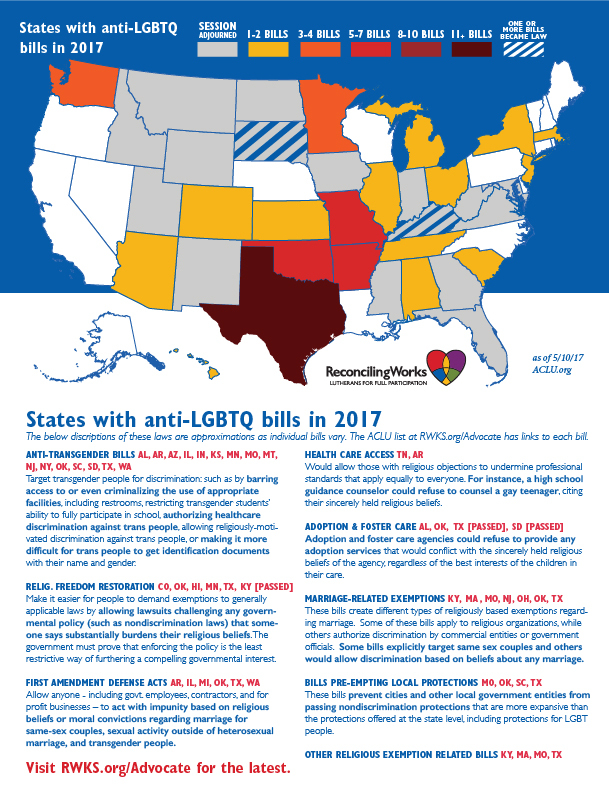 This map roughly reflects information from the ACLU's public listing of anti-LGBTQ bills. It does not reflect affirmative non-discrimination bills with comprehensive or incomplete protection. The ACLU updates this list every Monday. 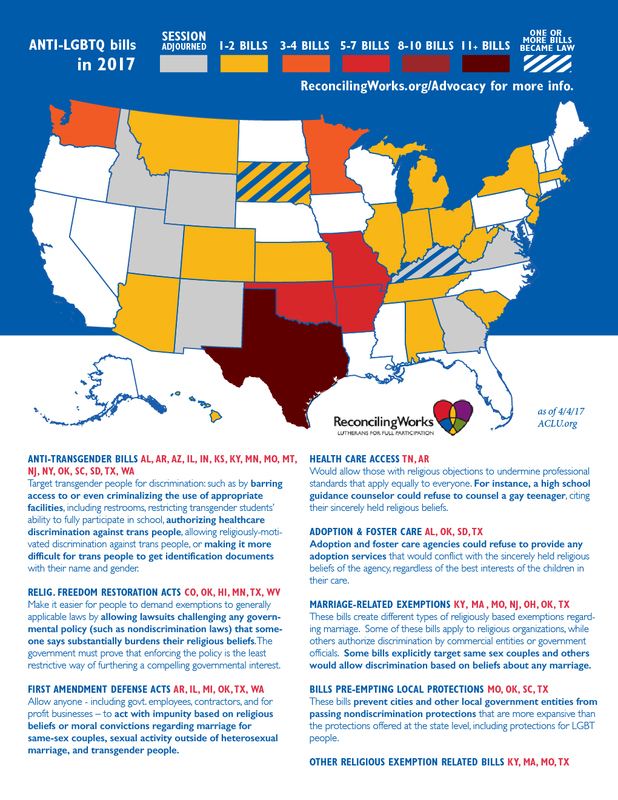 Click here for a map of ANTI-LGBTQ bills filed or passed so far in 2017.